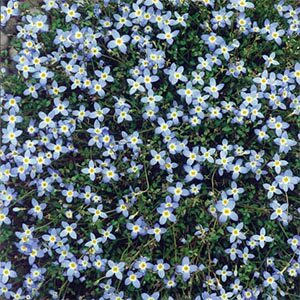 A quick growing groundcover which prefers semi shade. Flowers blue with yellow centres throughout the Spring. Hardy to most soil & climatic conditions.